We call this project an “uplift” because there was no need to completely remodel the entire expansive space of this 1970s walkout ranch. 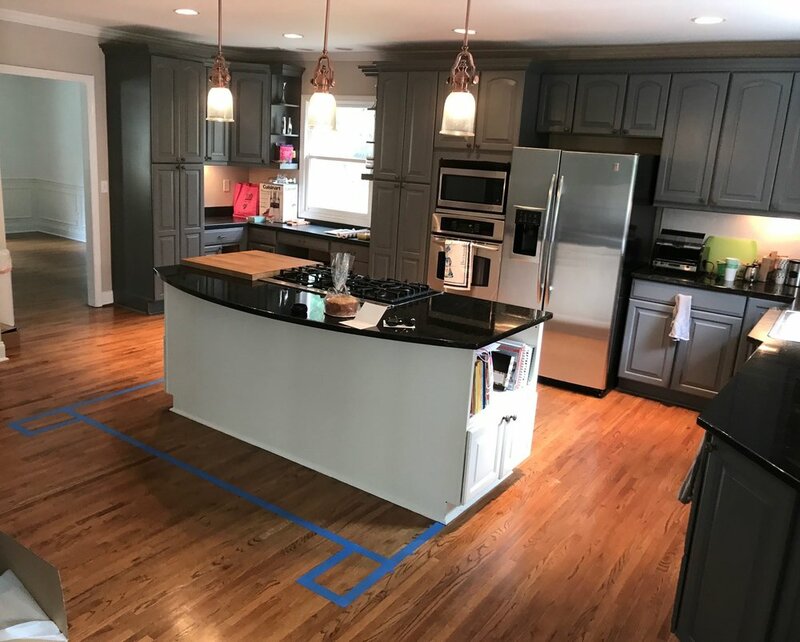 The oak hardwood floors were in great shape, and the perimeter cabinetry only needed some touch up paint. 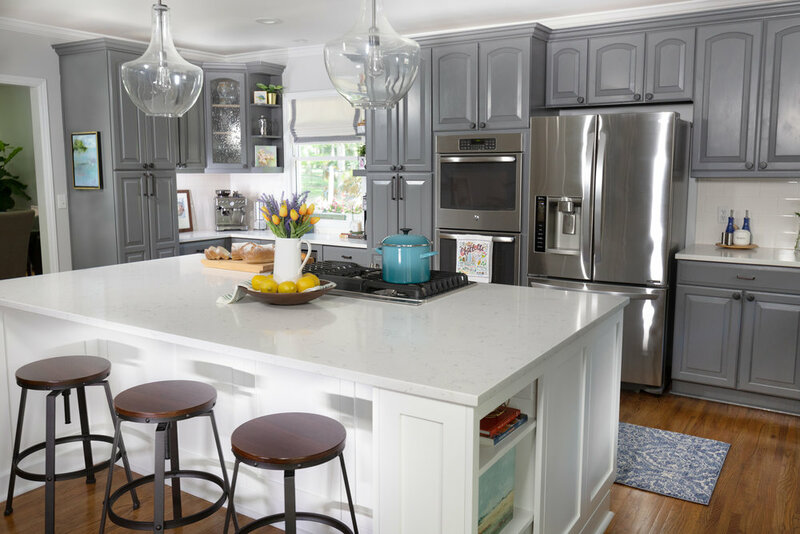 However, the homeowners wanted a true entertainer’s kitchen so in order to achieve their vision, we installed a larger custom island, updated the seating and light fixtures, and carved out specific spots for a coffee bar and wine fridge. 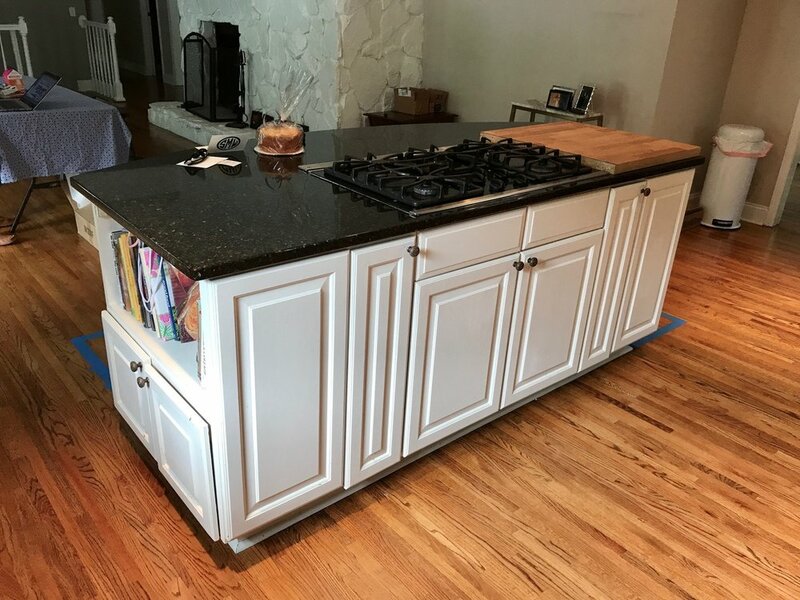 The countertops were replaced with lighter quartz to brighten up the space, and then we completed the design by adding the perfect decorative details.